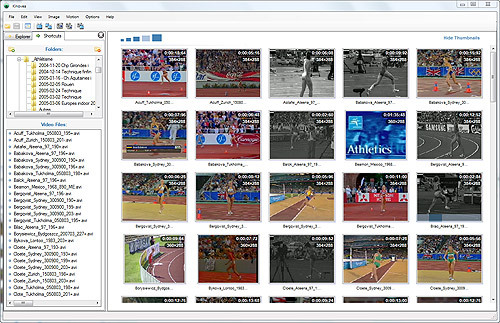 Kinovea is a video player for sport analysis. 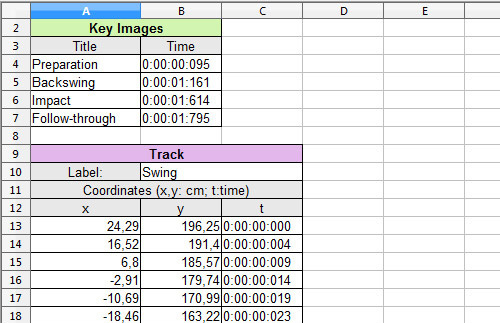 It provides a set of tools to capture, slow down, study, compare, annotate and measure technical performances. (Learn more). Kinovea is completely free and open source. 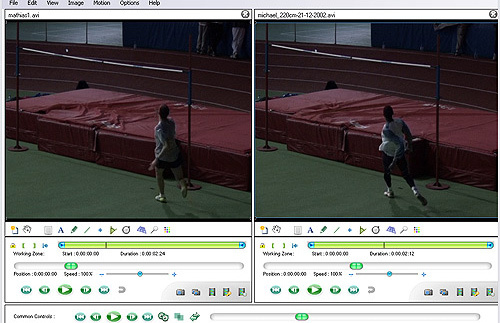 We strive to build a software simple enough for use in classroom and powerful enough for olympic training. 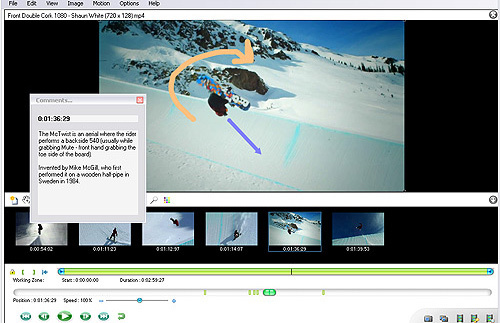 Enrich the video by adding arrows, descriptions and other content to key positions. 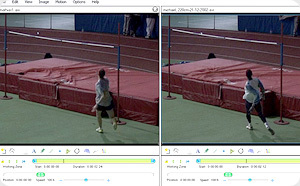 Observe two videos side by side and synchronize them on a common event. 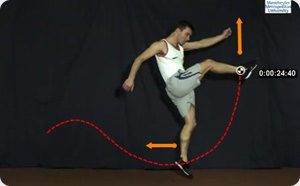 Measure angles, distances and times manually or use semi-automated tracking to follow the trajectories of points on the video. 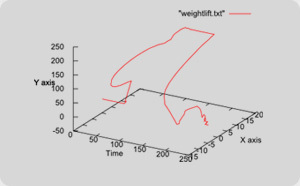 Export your analysis to spreadsheet formats for scientific study and further processing. Create custom tools to suit specific needs. 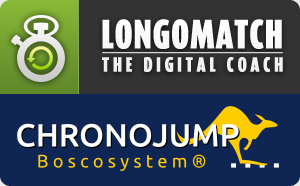 Chronojump-Boscosystem: tools to acquire, manage and analyze sport short ­time tests. 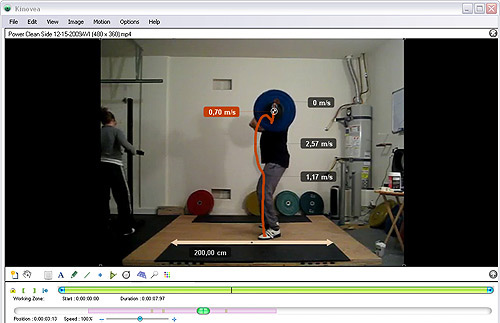 Longomatch: video analysis for team sports. Hi, I'm Joan Charmant, creator and developer of Kinovea. Kinovea is supported by users like you via Patreon. I have been working on this project in some shape or form since 2004, and I'm blown away that over the years it has been downloaded more than a million times, used by thousands of athletes, coaches, students, physical therapists and is cited in hundreds of research papers! Kinovea takes a fair amount of time and energy and I appreciate every bit of support! I have a full time job and work on Kinovea during my spare time. The money will be used to acquire new cameras for testing and integrating in the capture module, upgrades to my development machine and a code-signing certificate for improving the security of releases. I have chosen the "per creation" model in Patreon so payments will be "per release", not "per month". Releases are spaced out pretty far apart, every 6 months to a year. This model feels the most appropriate for the project. Patrons get access to occasional screenshots and discussion of early work in progress and intermediate test-builds that are sometimes made to attempt to fix a specific bug or test a way to implement a feature. These builds might be partly broken and rough around the edges, your feedback as core community members will be super valuable!